MIAMI — A dance company that is committed to performing powerful under-told stories of the African Diaspora comes to South Florida this weekend as part of its 30th anniversary celebration. South Miami-Dade Cultural Arts Center, 10950 SW 211 St. in Cutler Bay, presents Urban Bush Women at 8 p.m. Saturday. Urban Bush Women’s storytelling through dance format is the vision of founder Jawole Willa Jo Zollar. The company is renowned for its heart-stopping performances in the United States, Canada and other countries. As UBW celebrates its 30th anniversary, it continues to use dance to bring together audiences through innovative choreography, community engagement and artistic leadership development. One performance slated for Saturday’s program is Walking with ‘Trane, a piece inspired by the life of John Coltrane and his seminal jazz suite A Love Supreme. Also featured are two other pieces: Hep Hep Sweet Sweet, an earthy and provocative new take on the swing dance and jitterbug of Cab Calloway’s jazz age, and Dark Swan choreographed by former UBW dancer Nora Chipaumire, which reimagines a classic European ballet in an African context. Urban Bush Women (UBW) burst onto the dance scene in 1984. The company weaves contemporary dance, music, and text with the history, culture, and spiritual traditions of the African Diaspora. Under Zollar’s artistic direction, Urban Bush Women performs regularly in New York City and tours nationally and internationally. 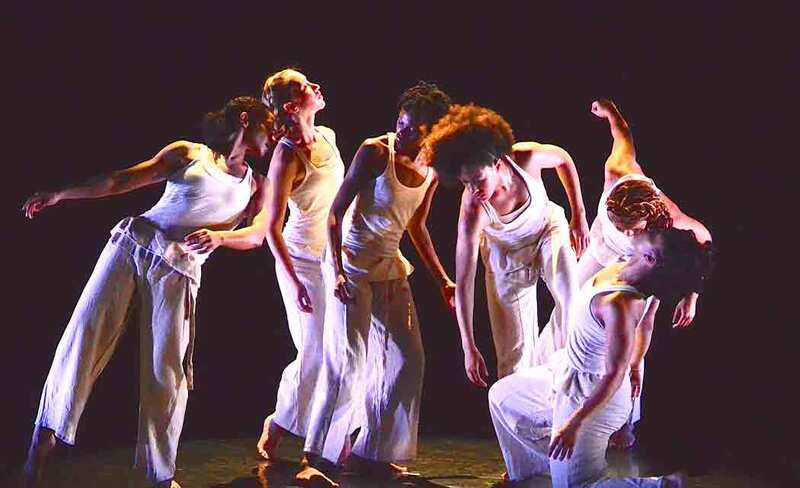 Off stage, Urban Bush Women has developed an extensive community engagement program called BOLD (Builders Organizers and Leaders through Dance). UBW’s BOLD program has a network of more than 29 facilitators who conduct workshops that bring the histories of local communities forward through performance. Tickets for Saturday’s performance are $20 to $40 with special youth and student pricing available. Contact the box office at 786-573-5300 or SMDCAC.org.